Summer Camp 2018 Presenters Coming Soon! See our 2017 presenters bios below. Atticus MooneyAtticus believes magick lies within the grey area of transitions and unknowns that propel us into transcendent opportunities for self-reflection, connection and growth. Movement is her portal to spirit; as a formally trained dancer, an intuitive and yoga teacher she synthesizes her understanding of form and appreciation of the formless to curate transformational events. She is the visionary founder of bhAva DC, a community organization that aims to promote conscious connection with substance-free dance parties, ceremonies and sound healing meditations. As the "Cacao Priestess" she imports ceremonial-grade cacao from Guatemala and hosts ceremonies to deepen intuitive, creative and heart-centered connection in communities. 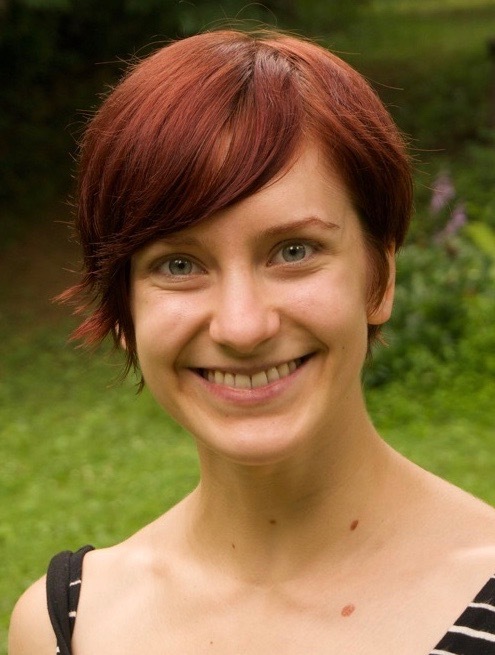 Additionally, she is the founder and producer of Ecstatic Dance DC and Baltimore, chapters in a global network of freeform conscious dance communities. As a 200-hour eRYT and a 500-hour RYT she facilitates yoga classes and yoga teacher trainings internationally; she has taught for the Hirshhorn Museum of Modern Art, the Kennedy Center and US Botanical Gardens in Washington, DC. No matter the form or place, she continues to to be amazed by the power of the human body and spirit. 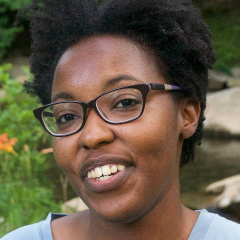 Crystal Byrd Farmer, is an engineer turned educator in North Carolina. She began organizing New Culture Charlotte in 2015 and is also a leader in the local polyamory community. She is passionate about encouraging people to change their perspectives on diversity, relationships, and the world. She loves organizing meetups, teaching, and playing with her five year old daughter. She owns Big Sister Team Building in Charlotte, which uses some New Culture exercises and creates mobile escape room experiences. 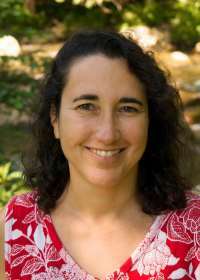 Debby Sugarman (www.debbysugarman.org) seeks the marriage of activism with heart, vision with practicality. While working on environmental issues in her twenties, Debby realized that the issues she cared about were won or lost based on the strength or failure of human relationships and the effectiveness of interpersonal communication. Hoping to be a catalyst for more effective and creative endeavors, Debby became a connoisseur of all forms of group and interpersonal communication. She became trained in mediation, studied various forms of meeting facilitation and group process technologies, and immersed herself in personal growth work and experiments in group dynamics. Debby studied ZEGG Forum Facilitation with Teryani Riggs and completed a 16 day intensive ZEGG Forum training with Ina Meyer-Stoll and Achim Ecker of ZEGG Community. She is excited about bringing this kind of culture change work into communities, workplaces and organizations. 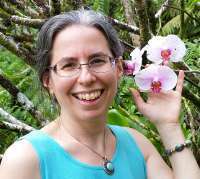 She currently co-teaches ZEGG Forum Clinics and New Culture Skills workshops with Sarah Taub and has led a modified version of ZEGG Forum in her workplace. Eric Peterson, MSOD is a Senior Consultant with Cook Ross Inc. He is a recognized facilitator and educator in the diversity & inclusion space with over 18 years of experience in unconscious bias, diversity & inclusion (D&I), learning strategies, and organization development. Prior to joining the Cook Ross team, Eric was the manager for diversity & inclusion at the Society of Human Resource Management (SHRM), the largest professional association for human resources professionals and diversity & inclusion practitioners. 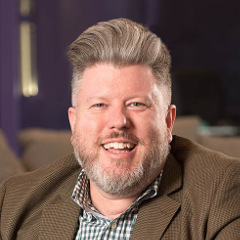 Before his time at SHRM, Eric was a member of the diversity team at Booz Allen Hamilton, where he managed diversity education design and programming, and worked extensively with the firm’s Employee Resource Groups. Eric received his bachelor of arts from Gonzaga University in 1992, and a masters of science in organization development from American University in 2007. He is a guest contributor for NBCNews.com, has been published in profiles in Diversity Journal and Echelon Magazine, and has been sourced as a D&I expert by CNN, National Public Radio, the Washington Post, the Boston Globe, the Los Angeles Times, and others. Indigo Dawn, is a being of light and love, with a passion for deep connection and movement. An intuitive mover since the age of 6, she has trained in contact improvisation, West African, Middle-Eastern, classical Indian, swing, salsa, contemporary, and modern dance styles. After working to combat educational inequality with Teach for America, she left the corps to pursue societal change via individual transformation. As a changemaker, Indigo seeks to improve the lives of others by spreading authenticity, awareness, and self-expression. Michael Rios is an entrepreneur and practical visionary with a creative genius for freedom and empowerment; as some have said, “Michael doesn’t have a box to think outside of.” In 1964, he founded a commune based on service, spirituality, and sensuality that lasted 30 years and (among other projects) provided emergency shelter and support services for homeless people and troubled young adults. In addition, he started one of the first domestic violence hotlines in the USA in 1971, and one of the first computer business in the DC area in 1976. Michael co-founded and lives at Chrysalis, a small urban intentional community in Arlington, VA, whose mission is to support activists and healers (www.chrysalis-va.org). Since 2004, he has been a major organizer of Network for a New Culture’s East Coast Summer Camp (www.nfnc.org, www.cfnc.us) and other events aimed at creating a culture based on awareness, compassion, and freedom rather than on fear and judgment. 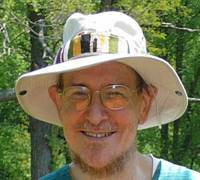 In 2011, Michael became the director of Abrams Creek Center (www.abramscreekcenter.com), a retreat center in the mountains of West Virginia. His current passion is creating an “intentional village” there and in the nearby town - a place where people live consciously with and near one another, building a life based on personal enterprise and freedom, economic independence, and a web of social interconnectedness (http://aciv.cfnc.us). Oblio Stroyman is a queer-identified, gender-queer, trans-masculine former relational therapist turned Ecstatic Dance DJ who lives in Oregon’s Eugene/Springfield community. 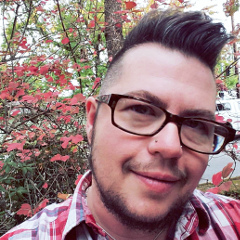 They are the Executive Director for the non-profit organization Trans*Ponder that serves trans/gender diverse folks and allies.They are the founder of Gender Camp, and are one of the organizers of the International Gender Odyssey conference. They have always been passionate about community and social trends, focusing undergraduate and graduate studies on family, gender, and sexuality. They have been connected to the Network for a New Culture community (nfnc.org) since 2000, participating as an organizer since 2010, helping to bring gender to the forefront of New Culture dialogs. They offers regular training that focus on raising awareness in professional organizations regarding polyamory, gender, LGBTQIA concerns, diversity and inclusivity, and community. Oblio strives to weave together strengths from their communities into group processes that cultivate increased intimacy, depth, learning, and social change. Sheya Grace Wind is a passionate gatherer of enlivenment practices and village growing skills . Training with exceptional teachers for over 20 years, she creates spaces of transformation that feel love-full, honoring and electric. 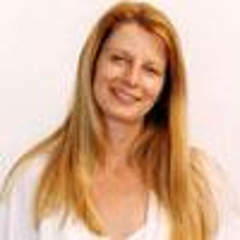 She is a soulful facilitator, grateful to bring beauty-making, life-rising community magic. Owl Grateful Wind brings 25 plus years of experience as a yoga teacher, body-worker, human design analyst and professional entertainer to enliven and deepen transformational spaces. Owl has been supporting and empowering Sheya Grace Wind in her offerings for years. Bringing his unique blend of sensitivity, space holding and technical music man wizardry , Owl plays a vital role in making these initiation portals come alive with new possibilities.